Having been exposed to a bit of our beautiful planet by plane, train, ship, canoe, kayak, car, bike, or solely my legs, both personally and professionally, I have learned a few tidbits that might make your journey a bit more comfortable and even save you from having to spend unnecessarily. 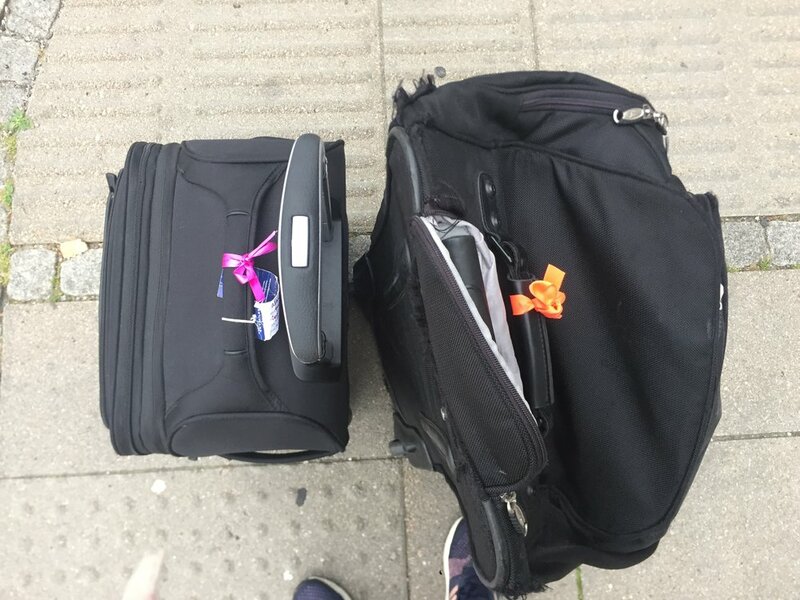 While I do not claim to be an expert or know everything when it comes to healthfully transporting myself and my belongings, I was recently bestowed the title “professional traveler” by a dear friend of mine. So this one is for you, B, as well as anyone who is curious about ways to ease travel professionally and personally and infuse their next journey with a few of my favorite practices. Carry an empty glass or stainless steel water bottle with you so that you can fill it up once you pass security. In the airports I typically depart from I have a routine where I usually go straight to the water fountain after I pass through security. This saves $$, time, as well as can be said to be more environmentally friendly as you are not purchasing a plastic water bottle but are instead refilling your reusable bottle. Remember, if you ask politely the flight attendants will more often that not fill up your bottle if you get low during a flight. Wear/pack your most comfortable walking shoes. If you will need to dress up during your trip either for a business function or for an event, make sure to pack comfortable "fancy" shoes that can withstand more than the few steps you anticipate taking. Wearing uncomfortable shoes can most certainly be in the way of staying completely present and enjoying your new surroundings, especially if you will be walking a lot. It might not be the time to try out your “cutest” uncomfortable new shoes. This almost always leads to frustration, blisters, and discomfort. Not to mention it might be annoying to your fellow travel companions as they will hear about it from you! Invest in compression socks. It might sound a bit cuckoo but they help increase circulation in your legs, reduce the risk of swelling, and in the prevention of a deep vein thrombosis (DVT) and blood clotting especially when you are flying longer than three hours. If anyone takes a second glance at you putting them on, smile and feel good knowing you are helping your circulation. Be mindful of your tummy. In the past when flying transatlantic, more often than not, I would arrive to my destination with so much joy and excitement while at the same time quite uncomfortable with an unexplainable bloated belly and the need to lie down. It was a bit embarrassing to say the least! Although I experimented numerous times, I never ate the same thing therefore I could never isolate what was hurting my tummy until one time I ate quite light, I semi- fasted, and I arrived feeling great with no bloat and need to be horizontal. What a relief! While recommending to fast during a long journey might be a bit much with your individual circumstances, I do recommend tuning into your body and seeing how best you can support yourself throughout whether with lighter food, more water, less caffeine, etc., etc. Move as much as you can. Planning ahead by choosing the aisle seat or having a long layover sets you up for many opportunities to get moving. Whether you walk from terminal to terminal or you get up on the airplane to stretch, make sure to do it. Your entire body will be relieved and will silently be saying “Thank you! It has been a while since I moved around!” When you land at your destination, if at all possible, try to aim for at least a 20 to 30 minute walk outside. This will help you feel a bit calmer and “grounded” so to speak. Also, feel free to pack an exercise mat with you, especially if you will be on the road for a few days. It feels so good to stretch out after a long day of being on the go. Light weight and easy to transport, I recommend this mat for travel. Make sure you pack a cosy scarf. It is even better if it can be worn with the majority of your outfits. This habit has been cultivated over the years and is one that one of my older brothers always giggles and comments about. He doesn’t laugh about the scarf per se but what can be done with the scarf! Tee-peeing or making a teepee with your scarf to ensure that you are blocking as much light as possible so that you can comfortably fall asleep and rest en route is essential. If you forget your scarf, an airplane blanket can do but it is always recommendable to have a scarf especially when you feel a little cold at a business function and/or event. The above are but a few ways I continue to move about both professionally and personally while supporting myself in feeling my best! How do you stay well and at ease while traveling? Studying for the bar? Join me this Saturday, see your invitation just below. as you continue to study hard and prepare yourself for the bar exam. So I invite you to take a little study break, make yourself a cup of tea or a smoothie (coffee - anything you like! ), and tune in! All of these pictures were taken directly by me during and throughout my prep experience. So. The last few months I have been become a total bookworm. I finished Love Warrior in three days. (UH OKAY!) So if you are looking for a good read, I recommend checking out the below. The links are affiliated. A memoir based on her experience descending into and rising from orthorexia. Orthorexia is the coined term for the eating disorder that develops when someone has obsessive thoughts and behavior about eating healthy. The line is crossed between mindful, healthy eating when the person experiences symptoms from anxiety and might even accompany other eating disorders. Jordan's playful voice sets the tone for a smooth and insightful read. 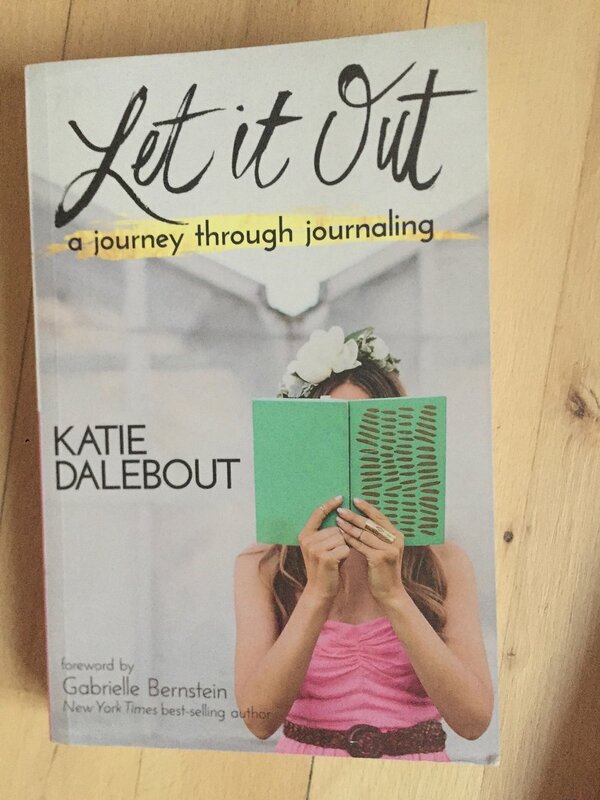 A learn-by-doing book where Katie shares her journey through journaling, recovering from an eating disorder, and coming home to herself via self-love and self-acceptance. She details over fifty tools that y-o-u can utilize in your journal so light a candle, grab a cup of tea, your fave notebook and pen, and get writing! Heart-wrenching memoir about Glennon's experience thus far in life. She experiences infidelity, has suffered from alcholism, and bulimia, and is living proof that you can recover and make the most of your deepest, darkest struggles. Her writing is thoughtful and at times humorous as I laughed out loud a few nights in my bed as I read before dozing into sleep. Lent to me by one of my fave amiguitas, this book was an interesting read. I quote Wikipedia on the alt, this "1993 novel by James Redfield that discusses various psychological and spiritual ideas rooted in multiple ancient Eastern traditions and New Age spirituality. The main character undertakes a journey to find and understand a series of nine spiritual insights in an ancient manuscript in Peru. The book is a first-person narrative of the narrator's spiritual awakening as he goes through a transitional period of his life." Since I finished those I am currently on Not That Kind of Girl by Lena Dunham. Have y-o-u read any of the books mentioned? If so, did you like? Or? P.S. - Do you have any book suggestions for me? If so, comment below. Looking for a book that will help you go deeper in your relationship towards your body and your food? Look no further than Nourishing Wisdom! I recently watched the documentary called The C Word and I highly recommend you to watch it. "THE C WORD reveals the forces at play keeping us sick and dares to ask: if up to 70% of cancer deaths are preventable … what are we waiting for? And, in asking the question, director Meghan L. O’Hara reveals astounding truths that no one is talking about on a grand scale — until now. At its heart are powerful, twin stories: one from celebrated French neuroscientist and cancer revolutionary Dr. David Servan-Schreiber, the other from THE C WORD’s own director, and cancer survivor Meghan L. O’Hara. After braving the journey from diagnosis to wellness, Meghan and David join forces on a wild ride of discovery; including hidden science, the absurdity of the status quo, and a vibrant cast of characters changing the game. Narrated by Morgan Freeman, THE C WORD message is simple, life-changing, radical: we can beat cancer before cancer beats us." - summary from The C Word movie website. In watching the documentary, you will become familiar work of Dr. David Servan-Schreiber who wrote the book called AntiCancer: A New Way of Life. The book is a compilation of developments in cancer research. It also details the best tips for what you can do to best fight it as well as how you can best prevent it. The four things pillars are: nutrition, exercise, stress management, and avoiding toxins. The film's message is "simple, life-changing, radical: we can beat cancer before cancer beats us." I am in awe of Dr. Servan-Schreiber's work as well as the entire crew who made this documentary possible. Thank you! Let's continue to spread their message by staying informed, being mindful consumers, and putting their tips to use! This documentary can be found on Netflix. What I Should Eat for Breakfast Today? Curious about your hormones? Want to learn how to sync up your cycle to your lifestyle? Then this book was written for you. Alisa has created a WomanCode protocol which provides ladies of all ages - teenager to late menopause - tools to help better understand our wondrous and beautiful bodies. Whether you struggle with PCOS, want to ease what you experience each month during your moon cycle, or would like to get your body ready for a little one, you will learn so much from this book. The information in this book could not be more aligned with the desire of wanting to live in your "natural beet" so check it out! on social media about your experience.